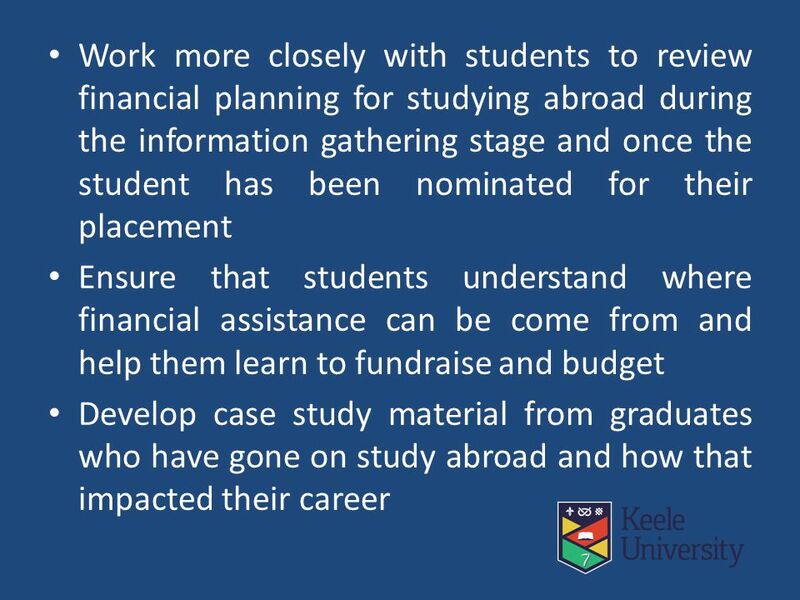 I can’t go abroad Because................. Elissa Williams Global Education Manager Keele University Melissa Schuessler U of Leeds. 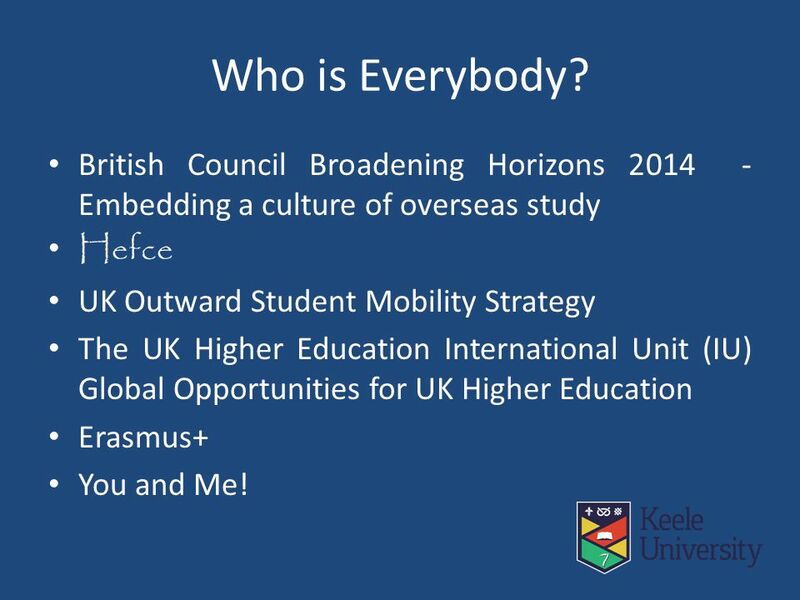 3 Who is Everybody? 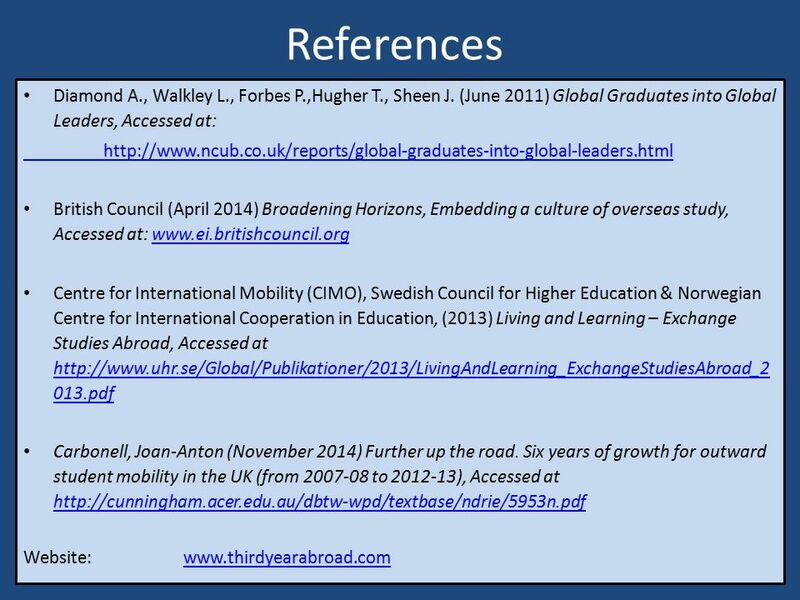 British Council Broadening Horizons 2014 - Embedding a culture of overseas study Hefce UK Outward Student Mobility Strategy The UK Higher Education International Unit (IU) Global Opportunities for UK Higher Education Erasmus+ You and Me! 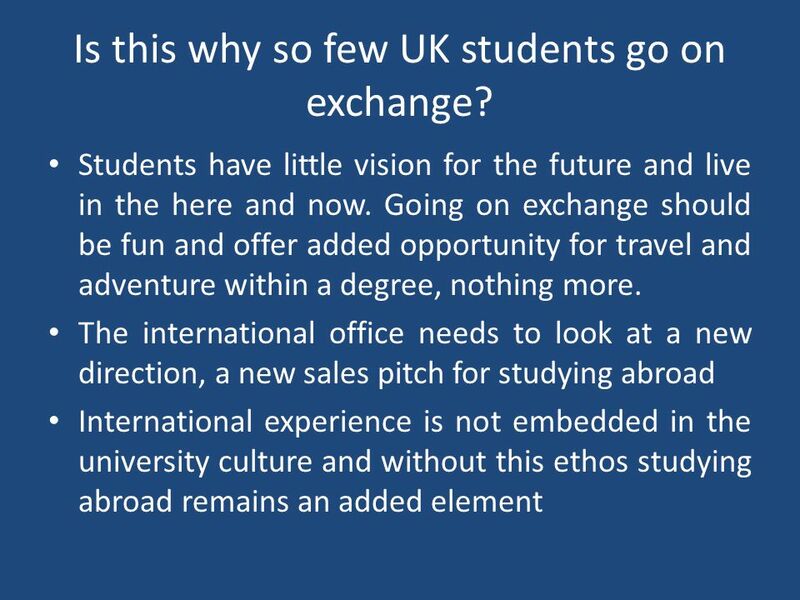 9 So, why do so few UK students go on exchange? 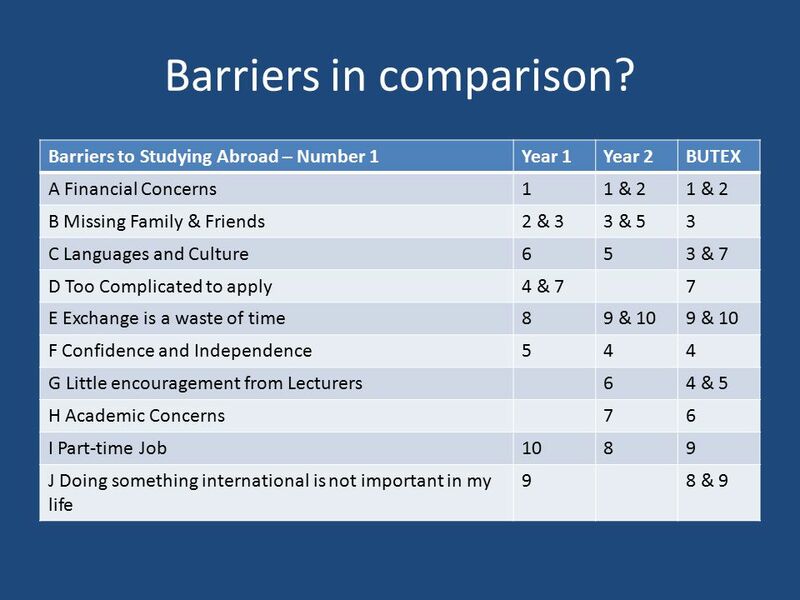 Do students have a clear view of the core value of studying abroad? 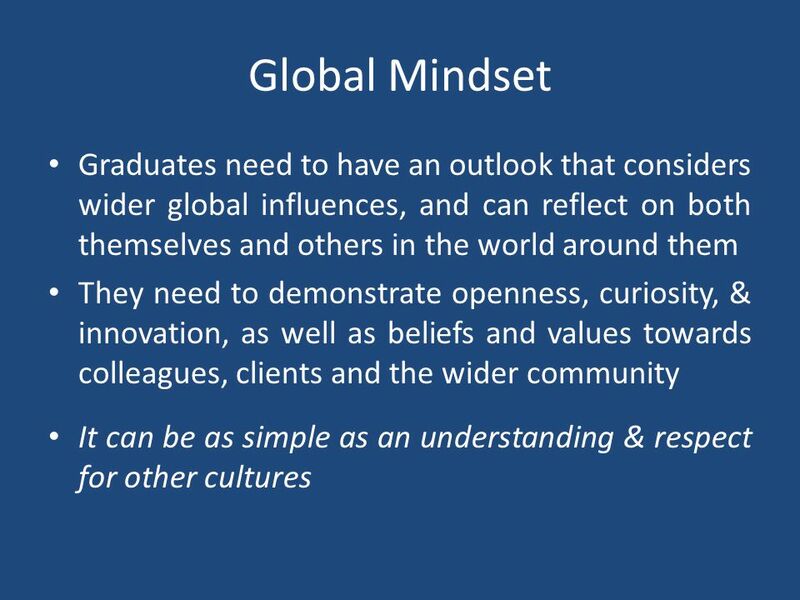 Whose responsibility is it to ensure that students have this clear view? 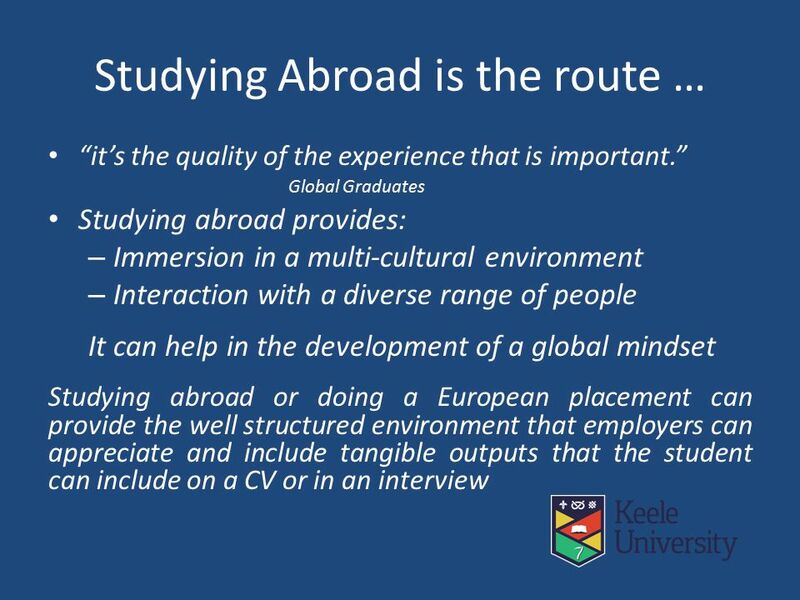 Would linking students to the 21 st century reasons for study abroad encourage more student to take up the opportunity? 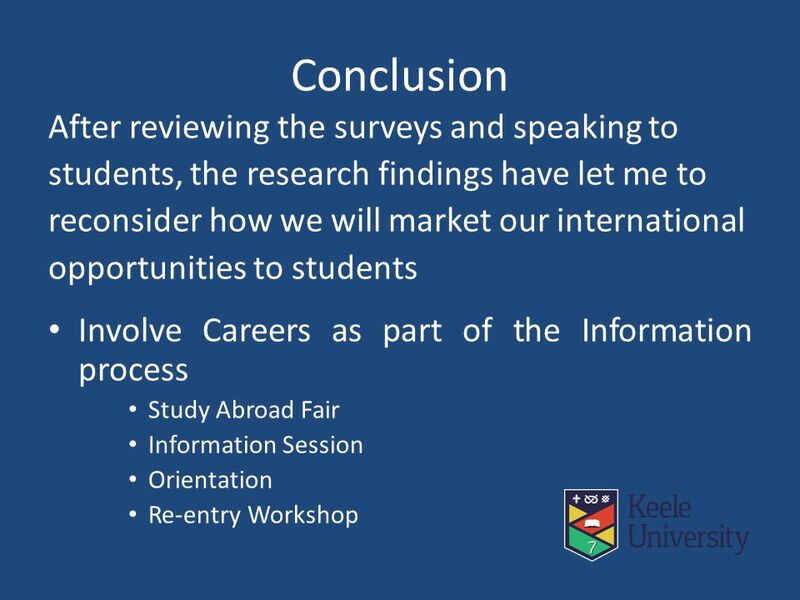 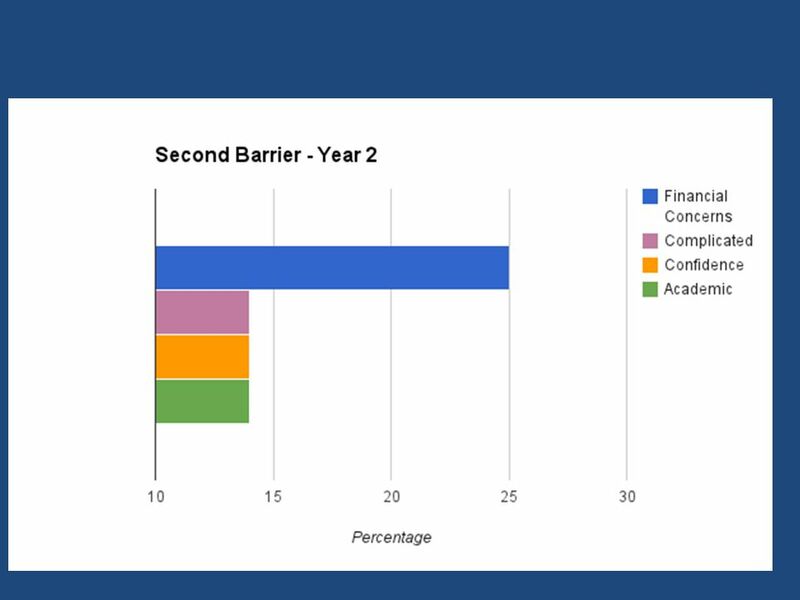 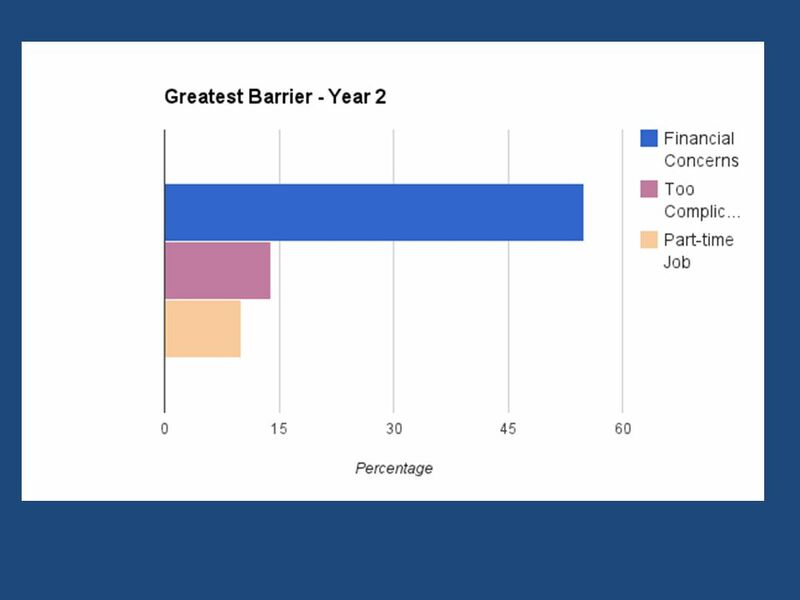 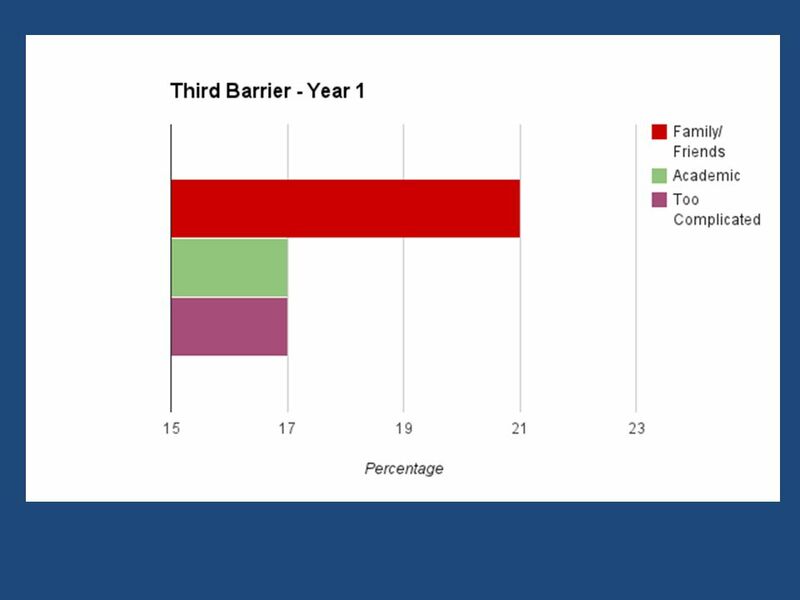 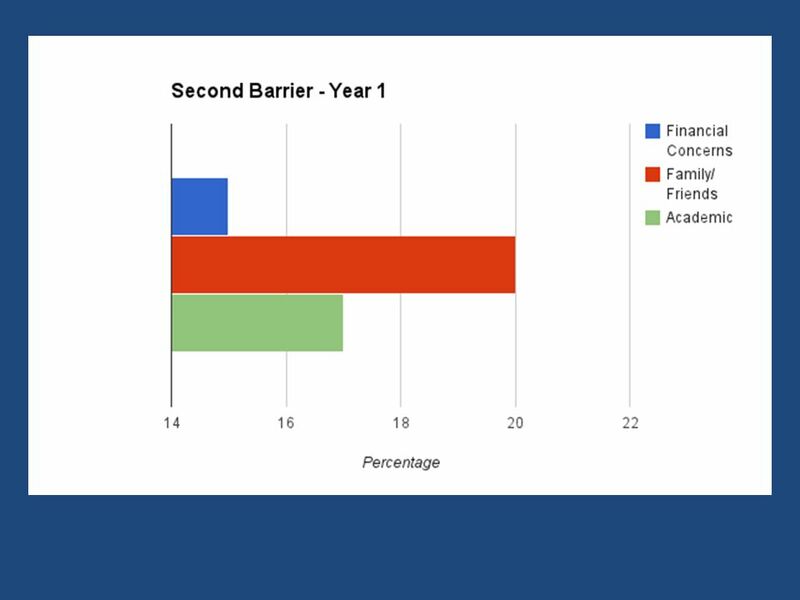 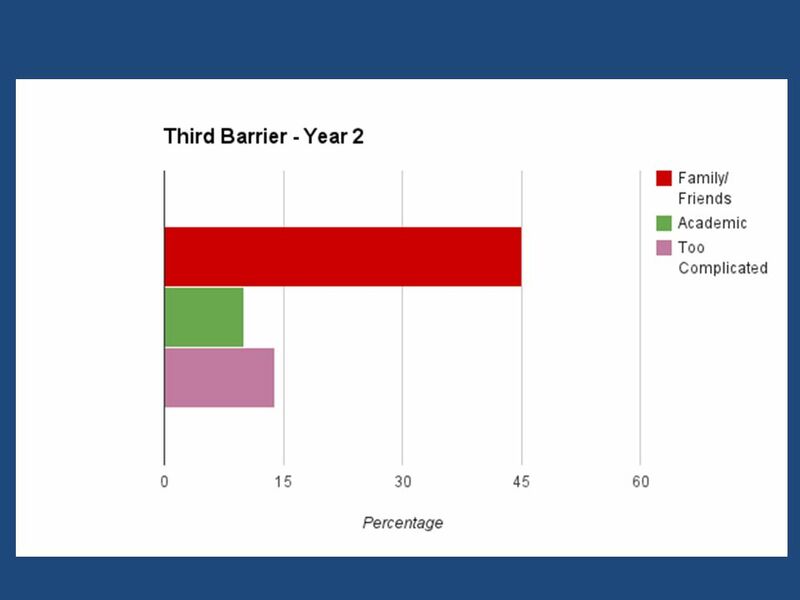 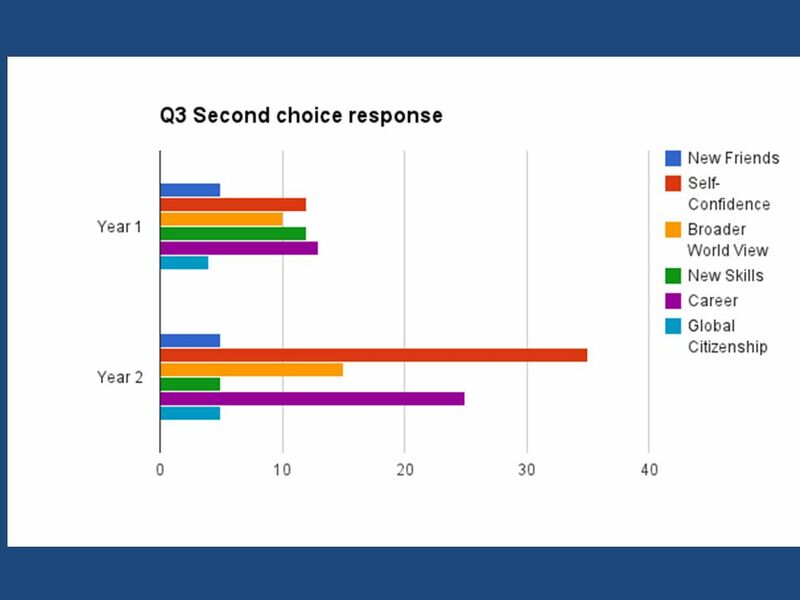 Let us start with reviewing the data that students at Keele have given…. 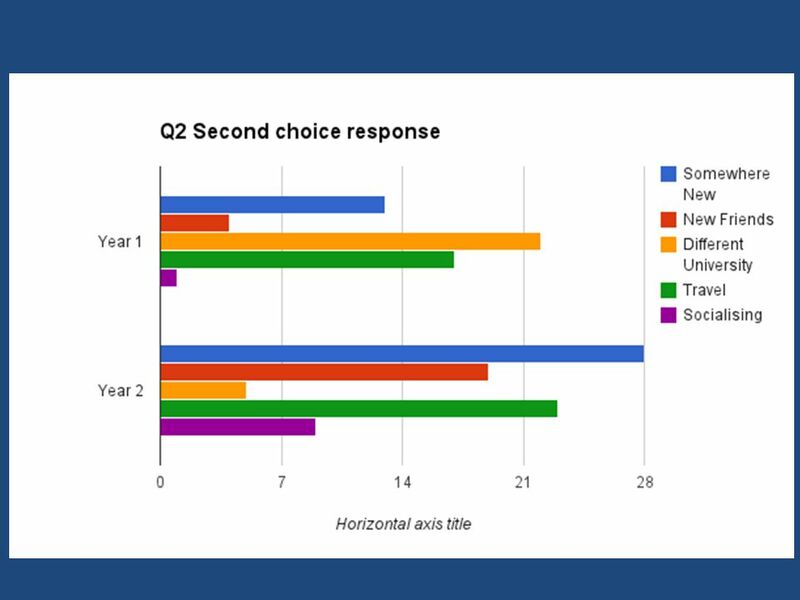 12 What does this tell about how and why a destination is chosen? 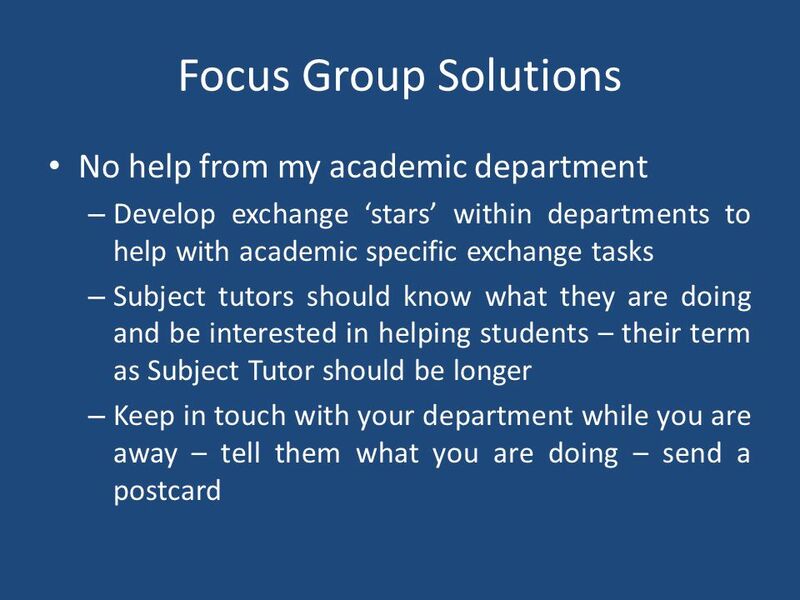 Some thoughts: Other students’ opinions and experiences both incoming and returnees? 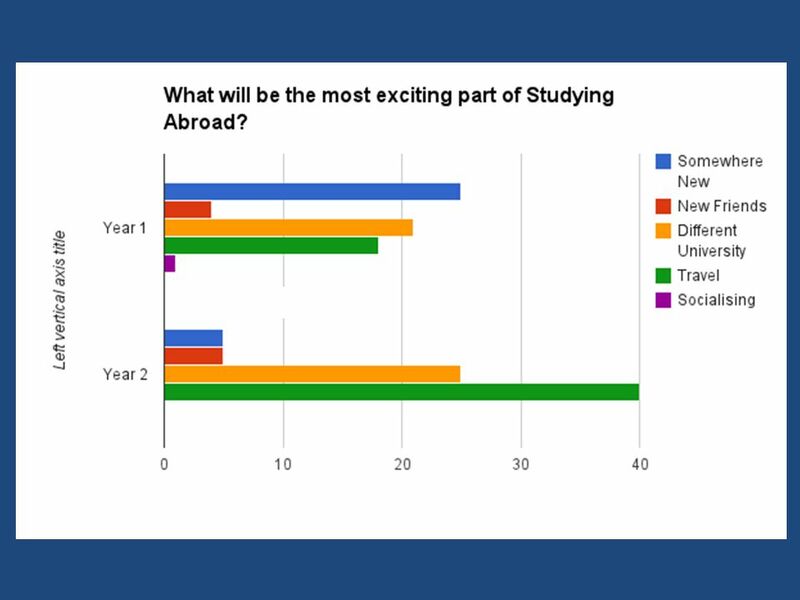 The cost won’t be as high in North America? 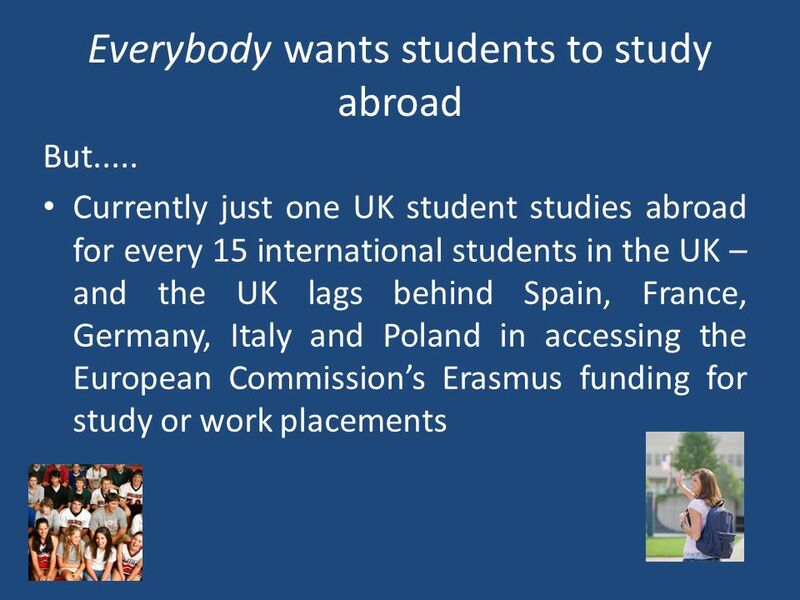 – Then Europe with the Erasmus grant should have higher numbers It doesn’t seem so far away? 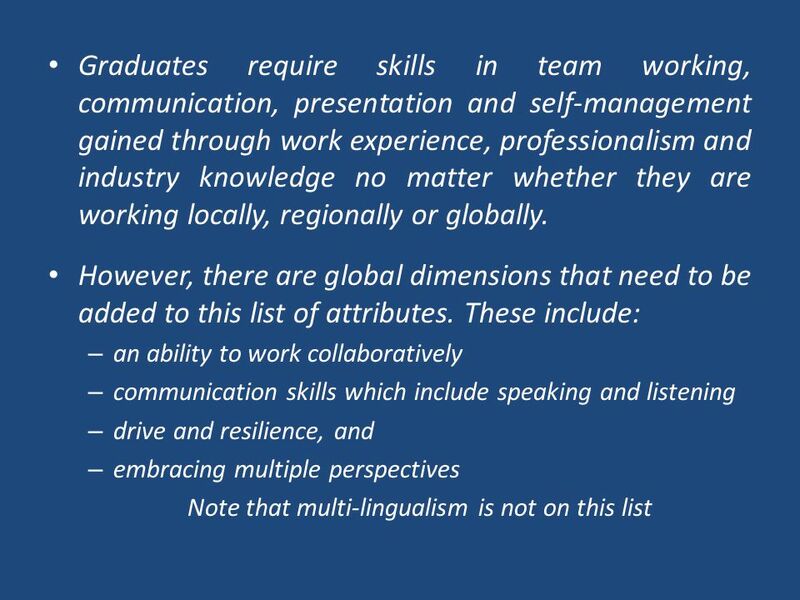 – Geography wise – Most of Europe is closer North America has a more familiar language and culture? 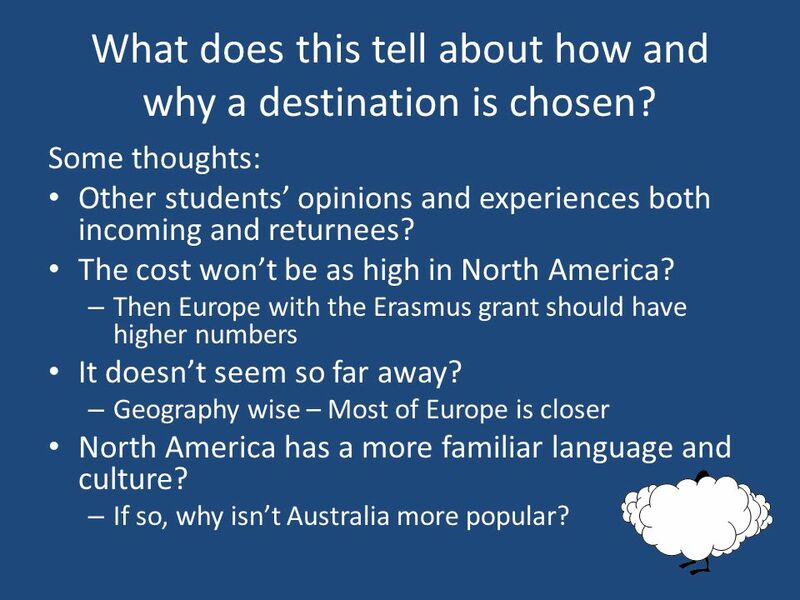 – If so, why isn’t Australia more popular? 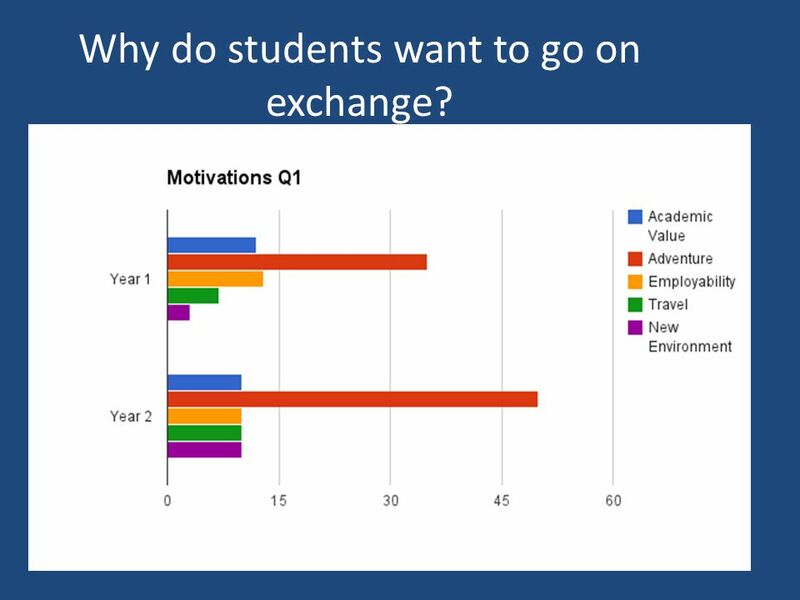 13 Why do students want to go on exchange? 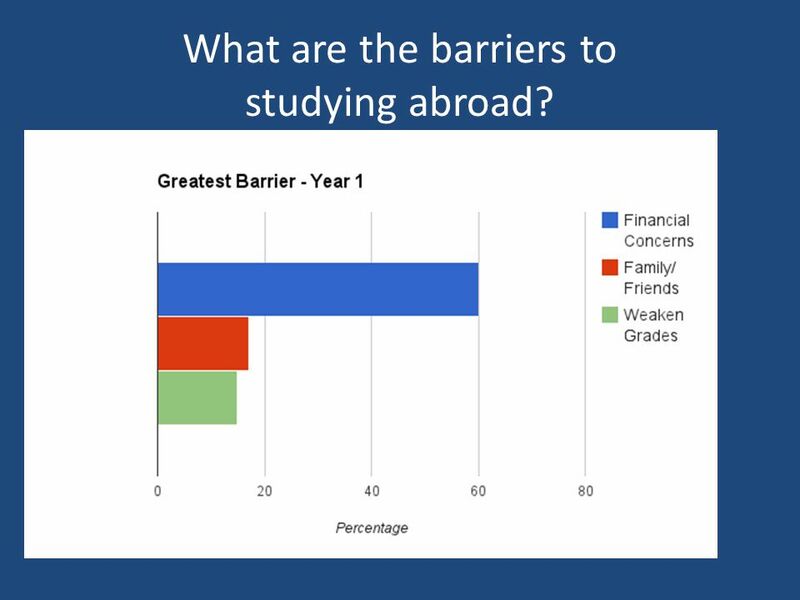 22 What are the barriers to studying abroad? 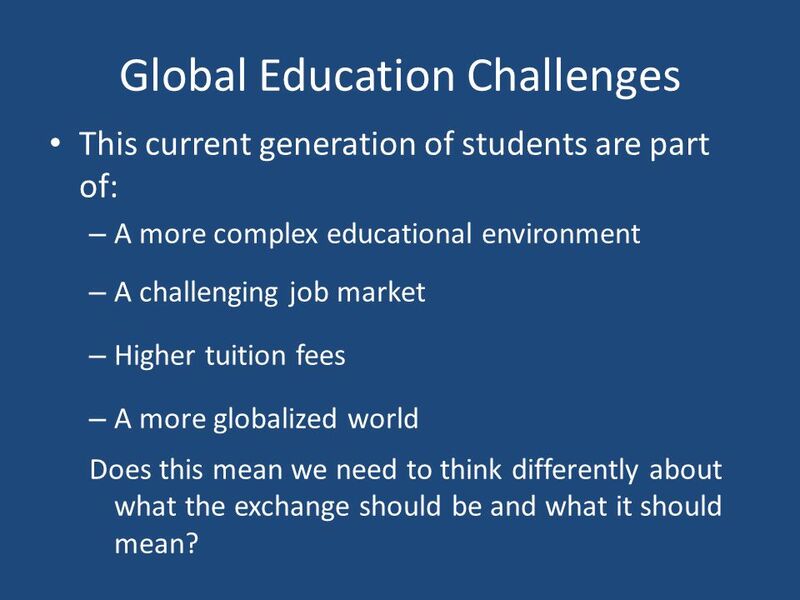 29 Global Education Challenges This current generation of students are part of: – A more complex educational environment – A challenging job market – Higher tuition fees – A more globalized world Does this mean we need to think differently about what the exchange should be and what it should mean? 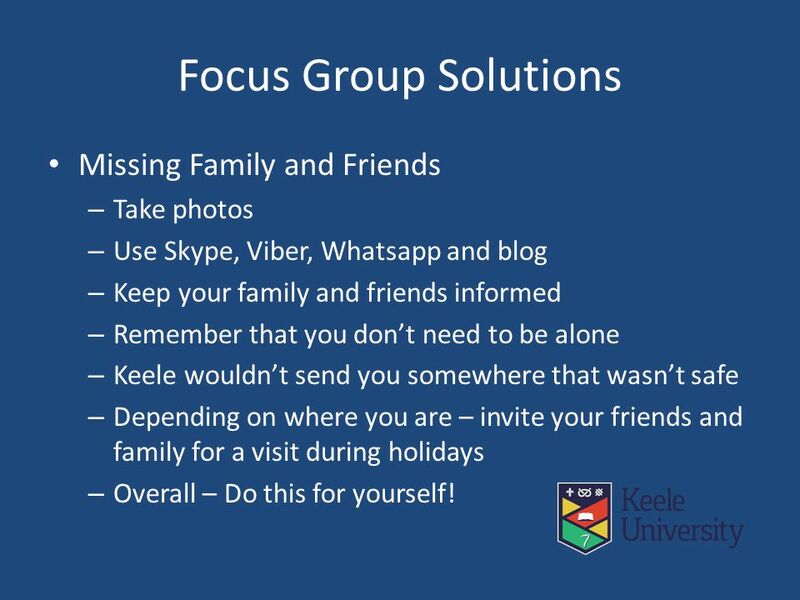 36 Focus Group Solutions Missing Family and Friends – Take photos – Use Skype, Viber, Whatsapp and blog – Keep your family and friends informed – Remember that you don’t need to be alone – Keele wouldn’t send you somewhere that wasn’t safe – Depending on where you are – invite your friends and family for a visit during holidays – Overall – Do this for yourself! 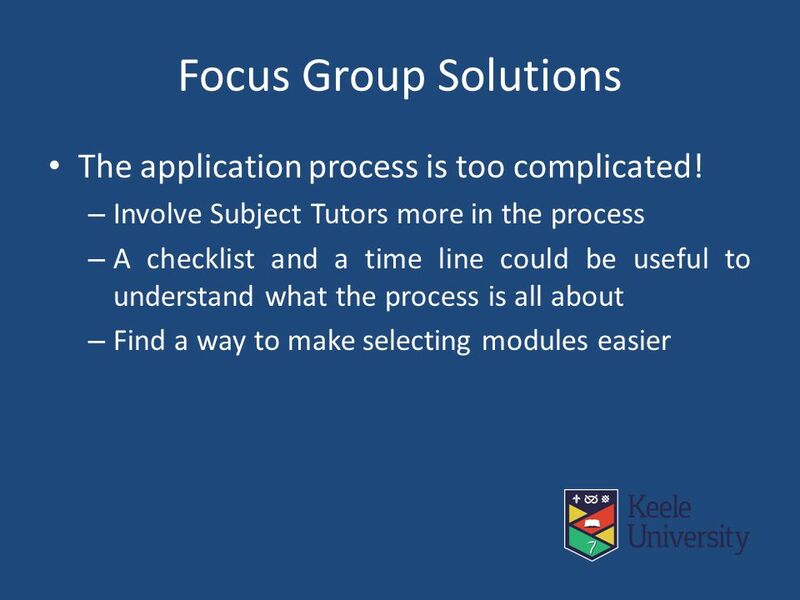 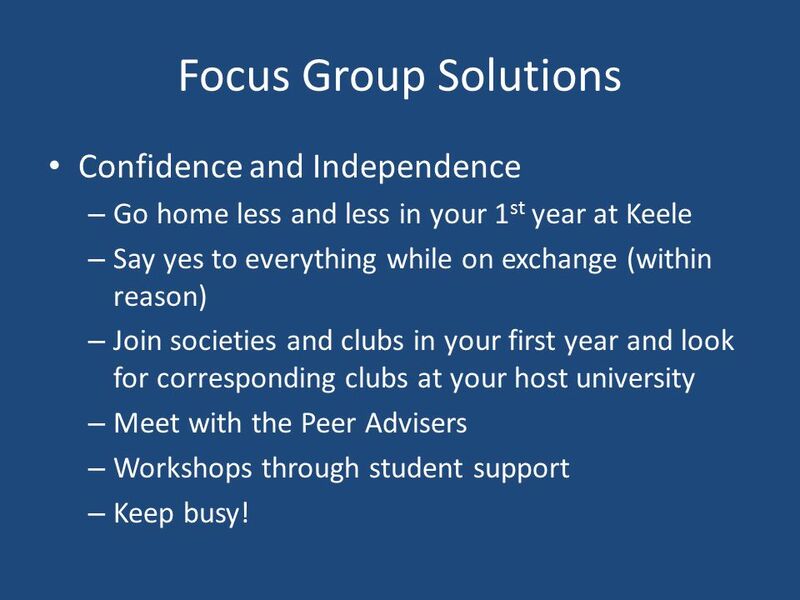 37 Focus Group Solutions Confidence and Independence – Go home less and less in your 1 st year at Keele – Say yes to everything while on exchange (within reason) – Join societies and clubs in your first year and look for corresponding clubs at your host university – Meet with the Peer Advisers – Workshops through student support – Keep busy! 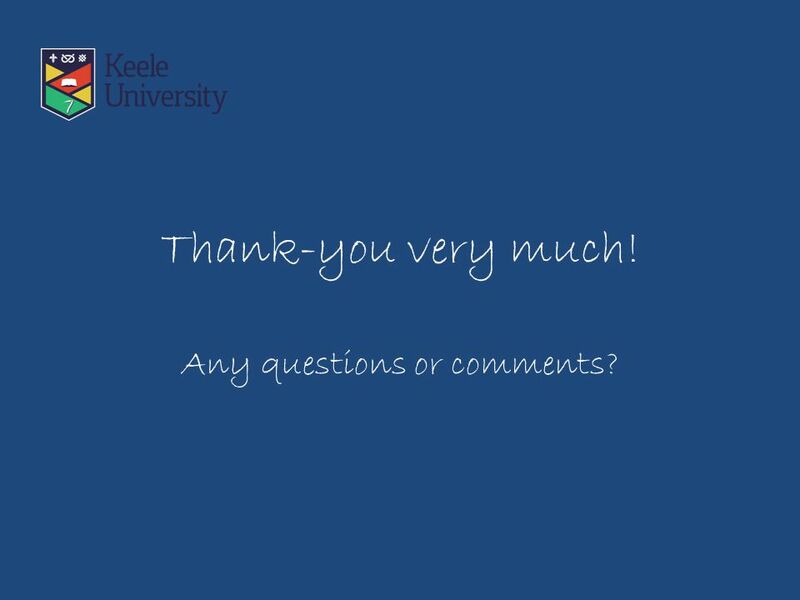 44 Thank-you very much! 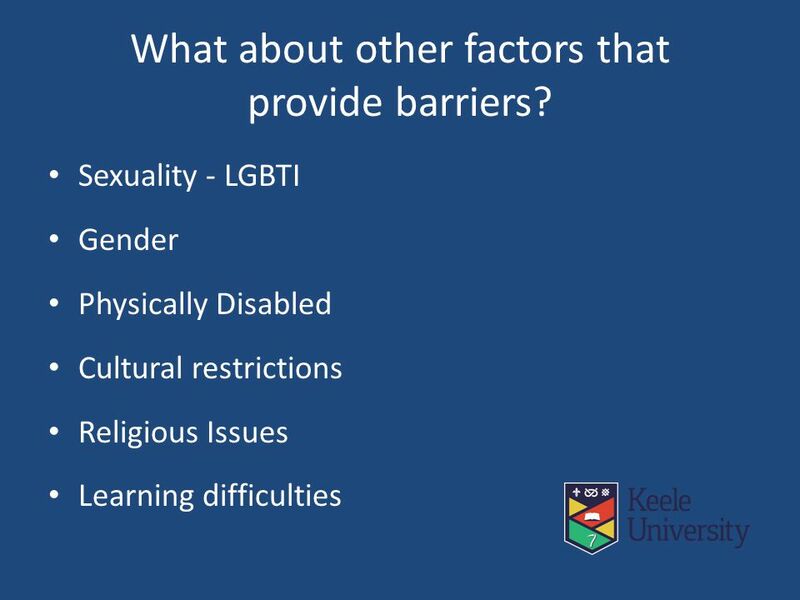 Any questions or comments? 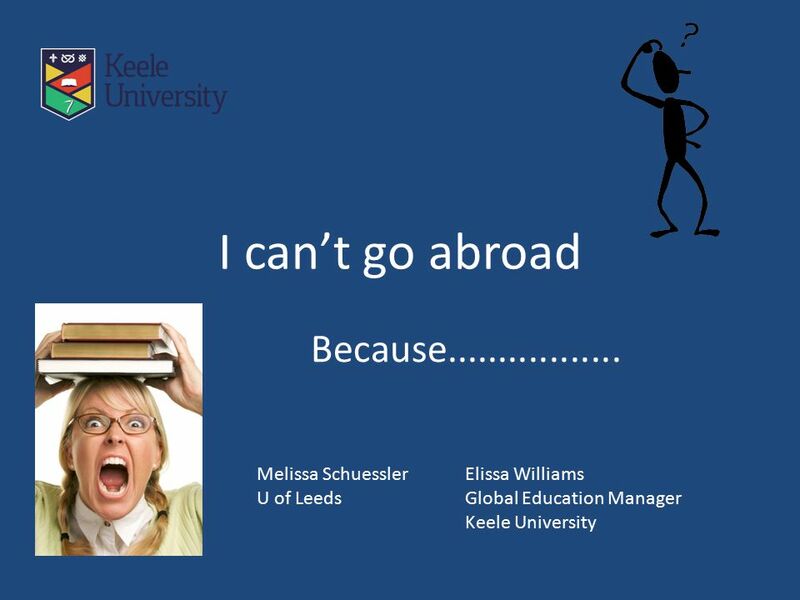 Download ppt "I can’t go abroad Because................. Elissa Williams Global Education Manager Keele University Melissa Schuessler U of Leeds." 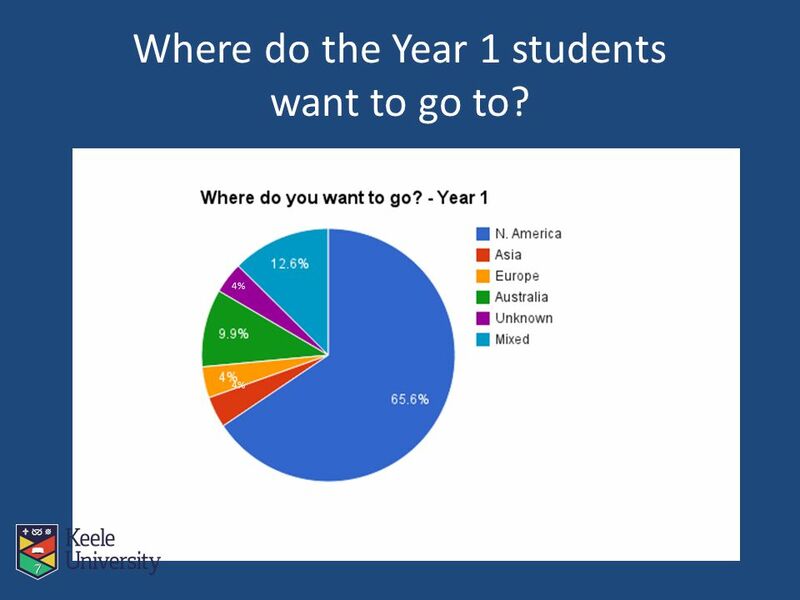 Exploring New Cultures for College Students Your Institution, Department, Your Name, Title. 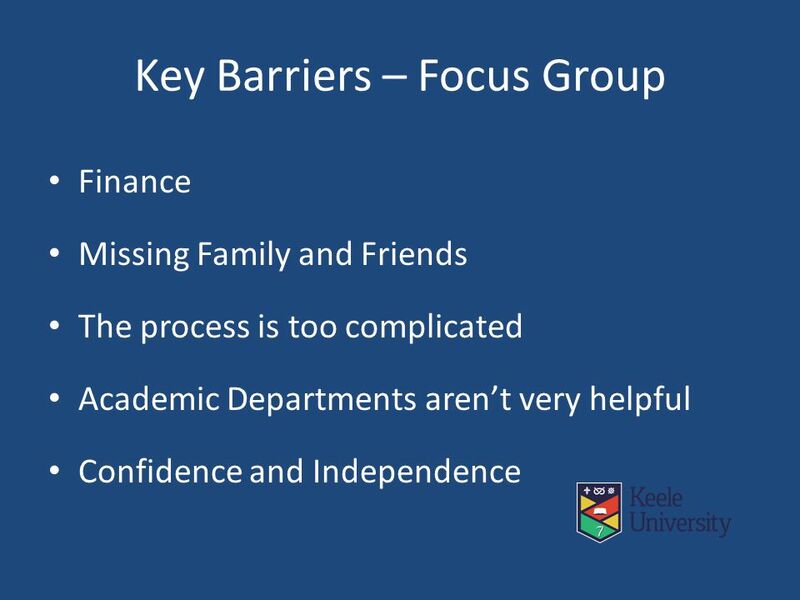 Gendered choices: Listening to older women learners 18 th May 2007 Presenter: Jan Etienne. 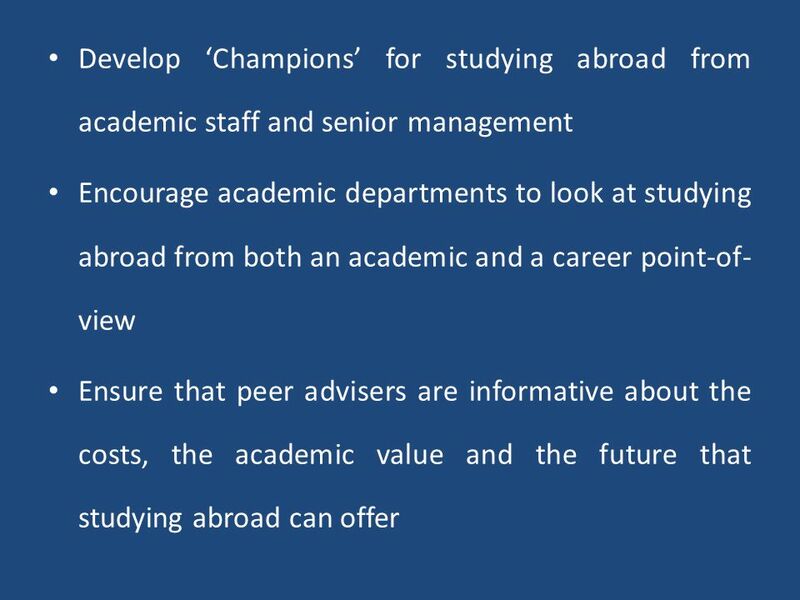 HELPING THE NATION SPEND WISELY Jonathan Mackay Audit Principal Staying the course: The retention of students in higher education. 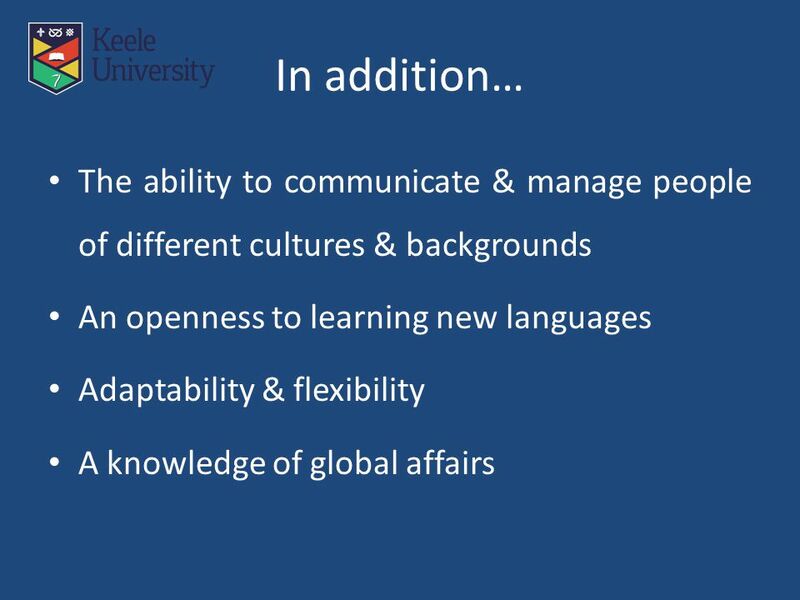 Internationalisation: establishing a collective understanding of the issues Kevin Thomas Northumbria University 22 May 2012. 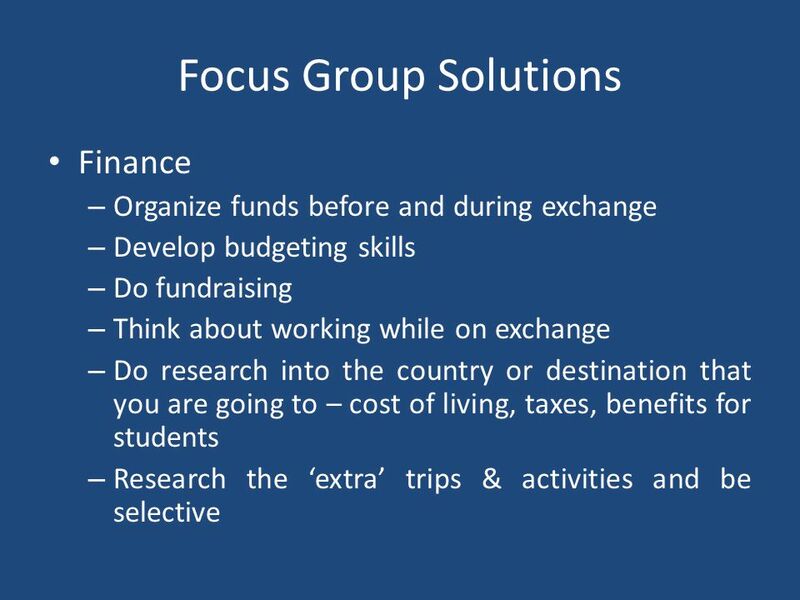 Advising Students with Disabilities in Study Abroad WHAT TO KNOW BEFORE THEY GO: Ashley Bryant, Mobility International USA (MIUSA) Claire Özel, Middle. 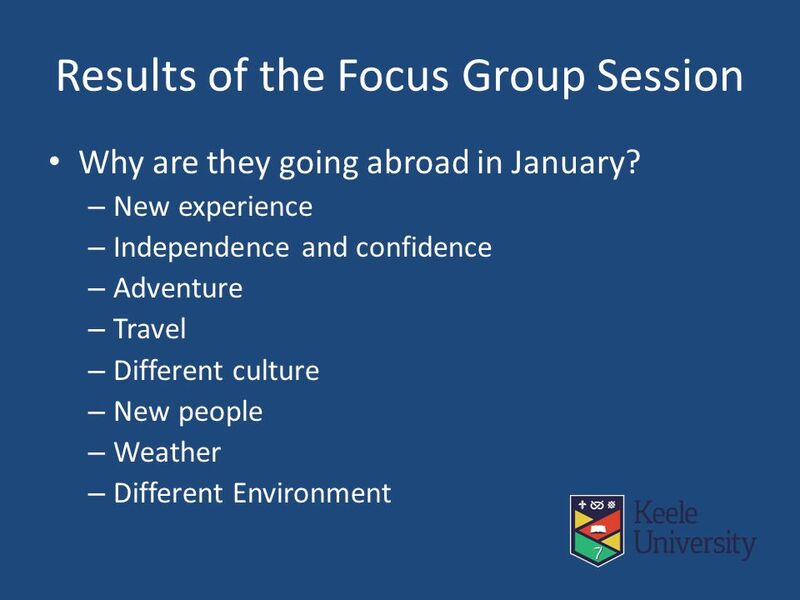 Agenda What is the Erasmus Mundus Programme Introducion of Erasmus Mundus Association (EMA) EMA Structure Events and Activities organised by EMA Why join?! 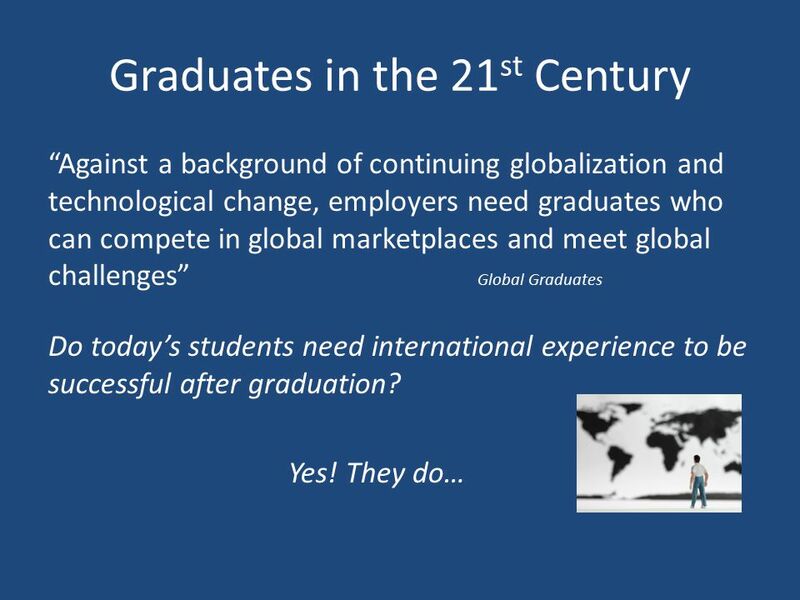 Why do we need enterprise in the curriculum? 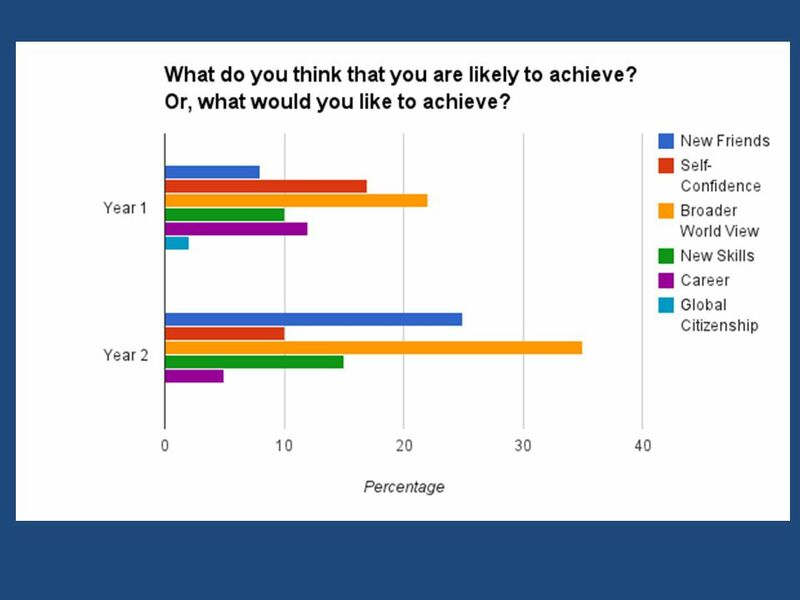 September 2009. 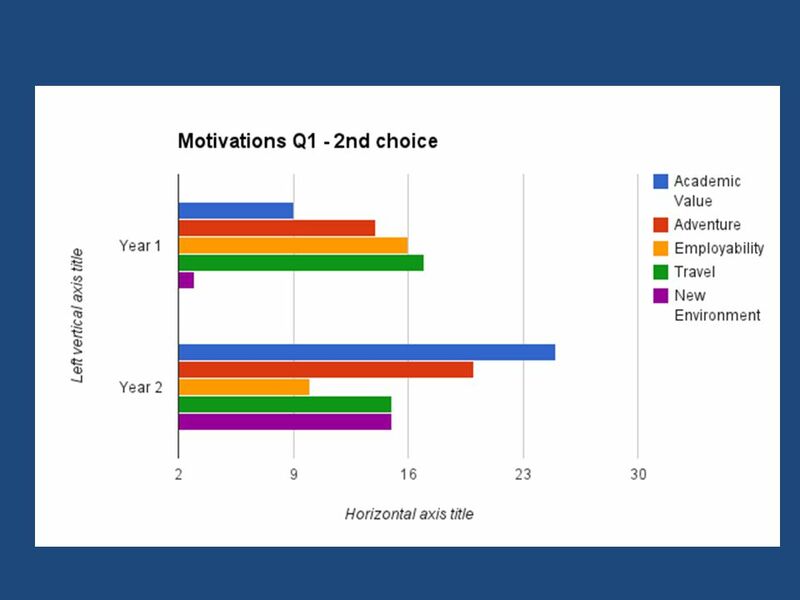 Sponsored by CEPA Foundation – Cultural & Educational Programs Abroad CEPA Foundation Webinar #3 on Curriculum Integration: Evaluation Integrating Education. 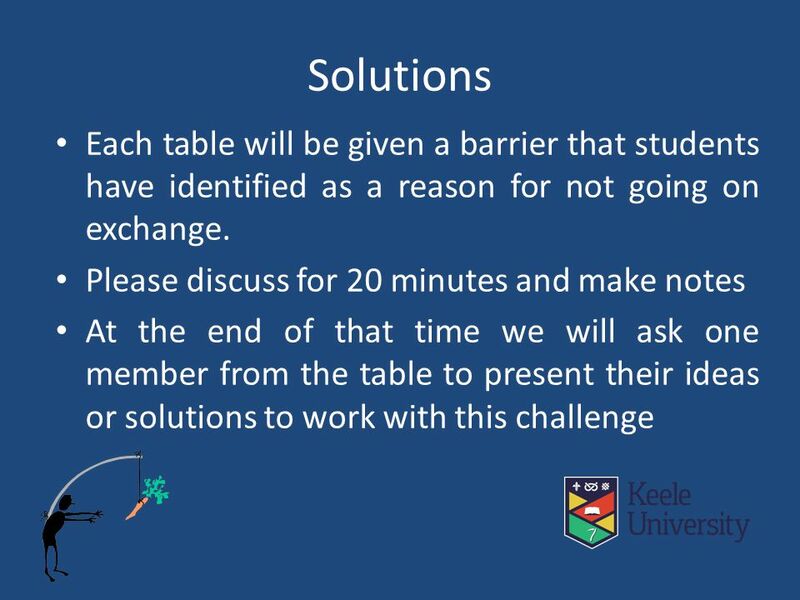 Students Without Borders Megan McHaney - President for Education & Employability Jenny Batty - President for Welfare & Equal Opportunities Internationalising.